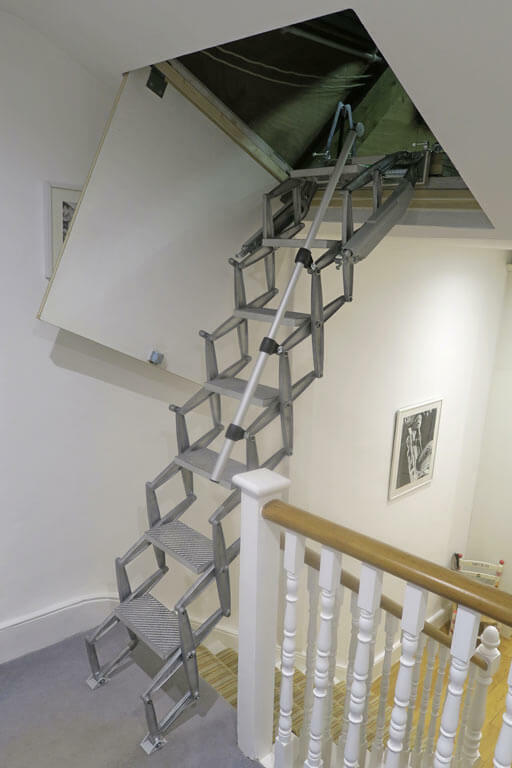 Anyone with a sloping loft hatch will appreciate the difficulty of finding a suitable loft ladder. Furthermore, the problem is even worse when the hatch is positioned over a staircase. 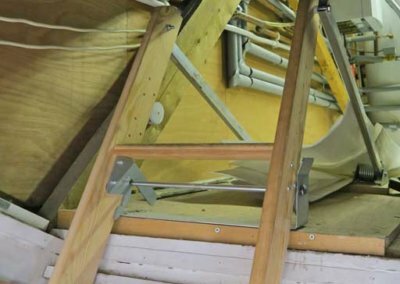 This is exactly the problem faced by Michael Hall, who needed an easy to operate loft ladder to provide safe and convenient access to the loft space in his home. 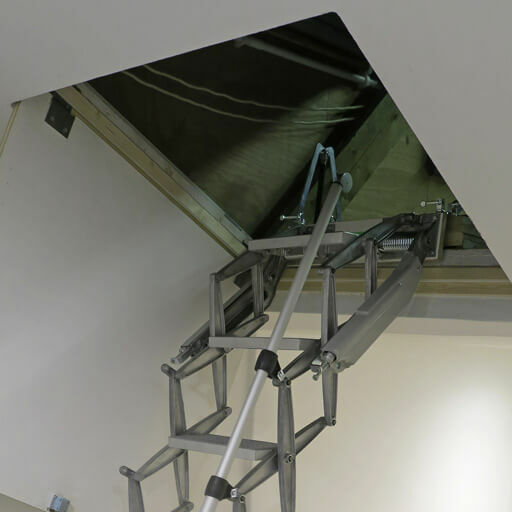 In short, a specially modified Elite Vertical Loft Ladder proved to be the perfect solution. 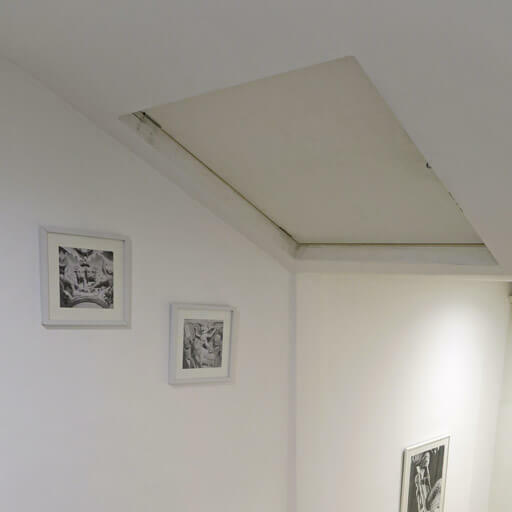 Access to Michael Hall’s loft space was via a sloping ceiling loft hatch, located over the staircase. 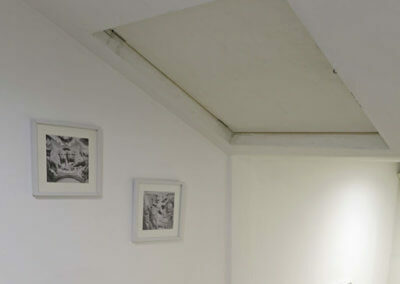 A wooden sliding loft ladder was fitted to the loft floor behind the loft hatch. This presented a few issues. The first problem was that the sloping loft hatch had a sliding catch, which was difficult to reach and operate. As such, it presented a safety risk every time the loft needed to be accessed. Another problem was that the sliding loft ladder was heavy and cumbersome to operate. Also, when stowed, the sliding loft ladder took up a lot of floor space in the loft. 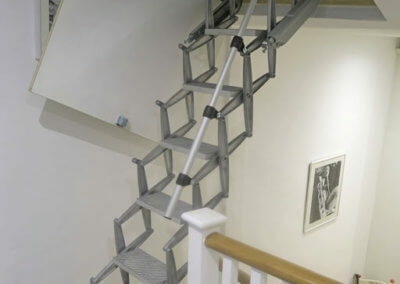 Therefore, an alternative loft ladder was required. 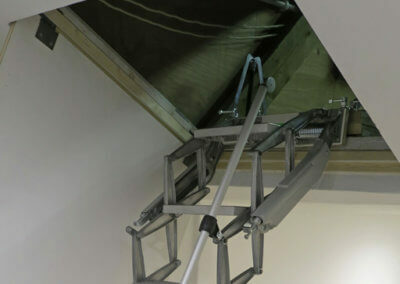 Michael wanted a robust and easy to operate loft ladder, so began to search the internet for alternative options. 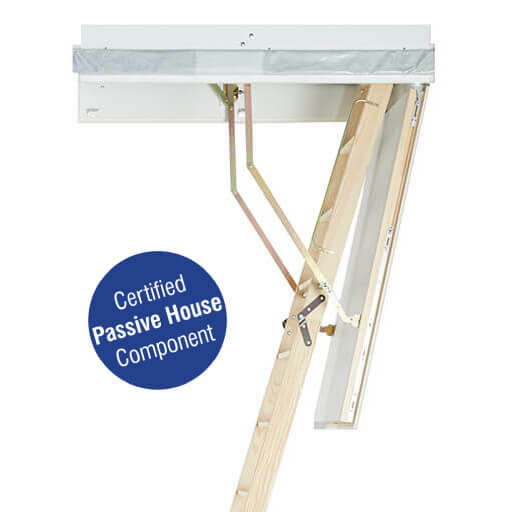 Many companies offered low cost sliding aluminium loft ladders, which Michael felt were inferior to the existing loft ladder and did not actually solve the problem. 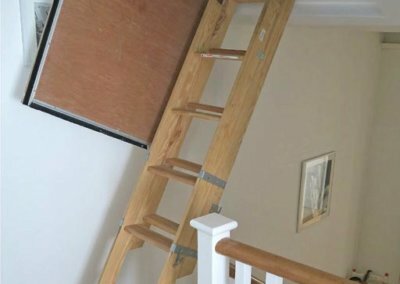 It became apparent that a concertina loft ladder was the best option and after further research Michael felt that the products on offer from Premier Loft Ladders were the best on the market. The original Sliding wooden loft ladder was robust, but also heavy and difficult to operate. 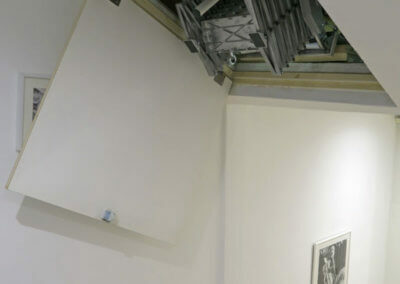 The most significant issue with the sloping loft hatch was that ‘conventional’ loft ladders would not work. 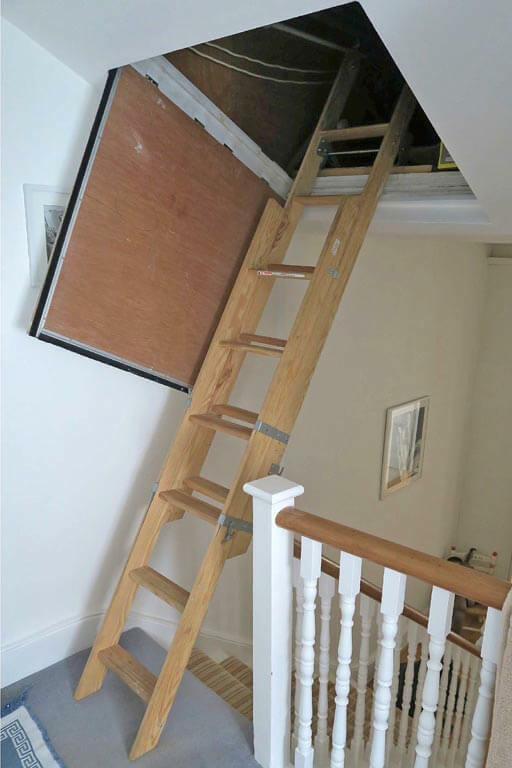 Firstly, the hatch door and ladder of a normal loft ladder would not open wide enough. Secondly, the spring mechanism to help open and close the door would not be strong enough to carry the weight. 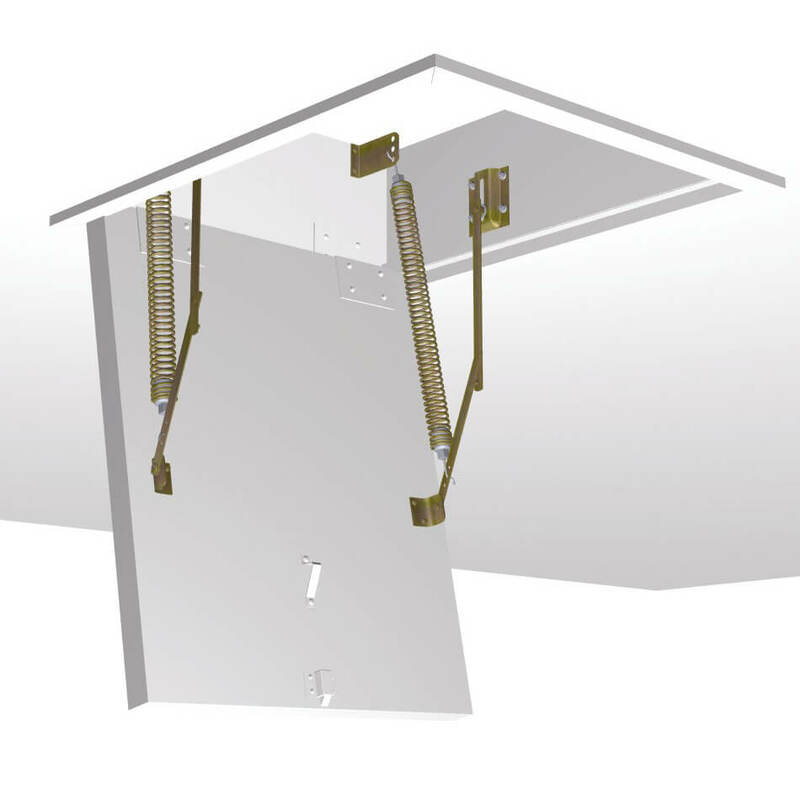 As such, the only option was to offer a loft ladder that was independent of the sloping loft hatch. However, the loft ladder needed to be easy and safe to operate, therefore had to feature spring assisted operation. In conclusion, there were two possible solutions – the Piccolo Premium Vertical and the Elite Vertical. Elite Vertical loft ladder was the best solution for this sloping ceiling hatch. Although more expensive than the Piccolo Premium Vertical, the Elite Vertical features a highly engineered counter-balance system. Consequently, the Elite Vertical is easier to operate, as well as being safer. 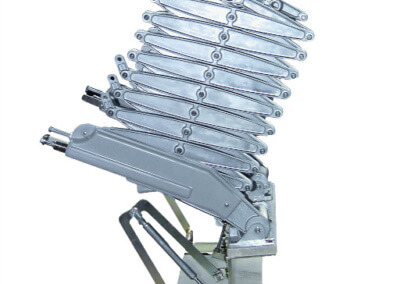 In addition, the Elite Vertical is designed for heavy duty use (rated to 200kg per tread). As such, it is particularly robust and rigid. These were key features of Michael’s existing wooden loft ladder that he particularly liked. Another benefit of the Elite is that it could be adapted to suit Michael’s needs. For example, the low ceiling height meant that it did not need as many treads as the standard model (starting from 9 treads). Therefore, Michael’s Elite Vertical was manufactured with just 7 treads, giving it the optimal tread rise and angle. As such, the ladder was specially counter-balanced and set at the factory to accommodate the smaller number of treads. It was also designed with slightly narrower treads (300mm wide instead of 350mm) to ensure it did not hit the balustrade. Finally, Premier Loft Ladders supplied a ‘snapper catch’ to replace the sliding catch on the original door. 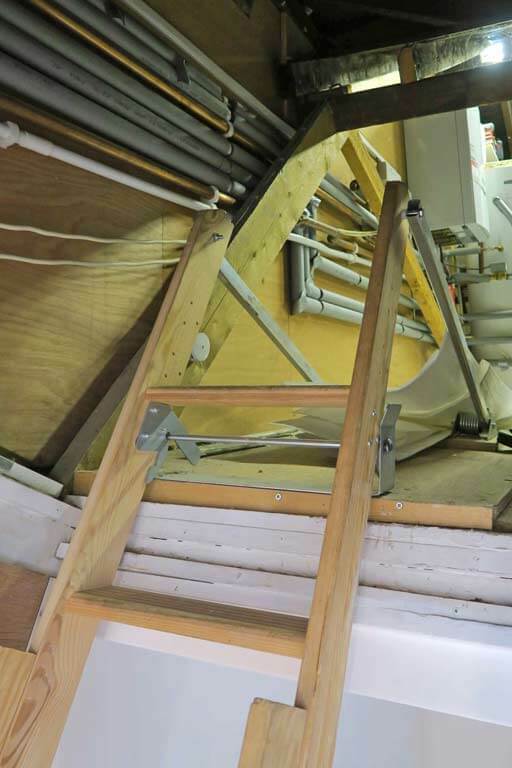 As a result, the hatch could easily be opened from the landing using the loft ladder operating pole. For this reason, it was also much safer. Michael’s loft used to be difficult to access. However, the Elite Vertical now provides quick and easy access. It is also much safer. As can be seen in the adjacent photo, the counter-balance system stops the Elite from falling down under its own weight. Furthermore, a large amount of loft floor space was occupied by the large wooden ladder when it was stowed. 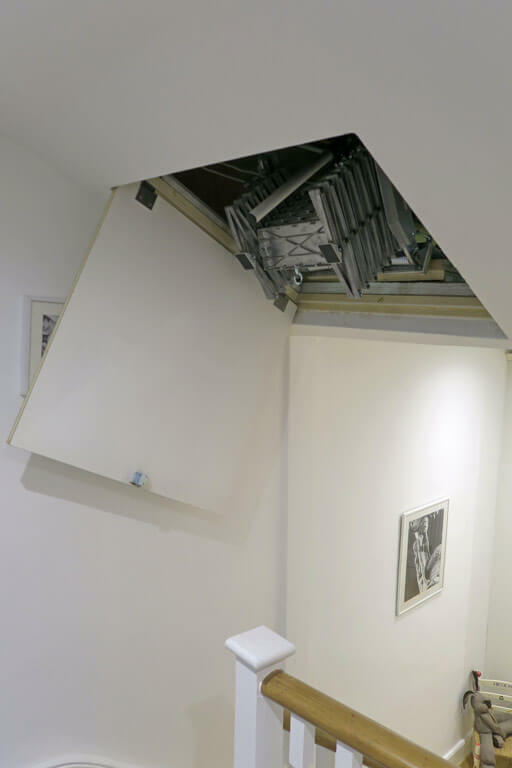 In contrast, the compact new loft ladder takes up only a small amount of space behind the loft hatch. As a result, there is more free space in the loft. 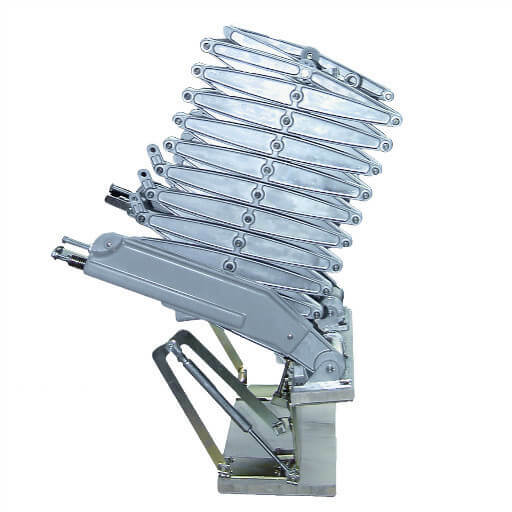 Finally, the heavy duty design of the Elite Vertical makes it particularly strong and robust. It is therefore ideal for carrying heavier items into the loft. It also has the added benefit of making access to the loft safe for anyone needing to service the boiler and hot water tank. 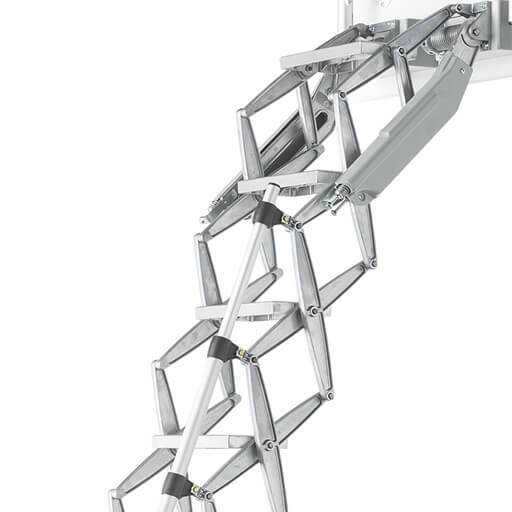 Elite Vertical loft ladder is safe and easy to use. We hope you found this helpful!